Here is great deal. 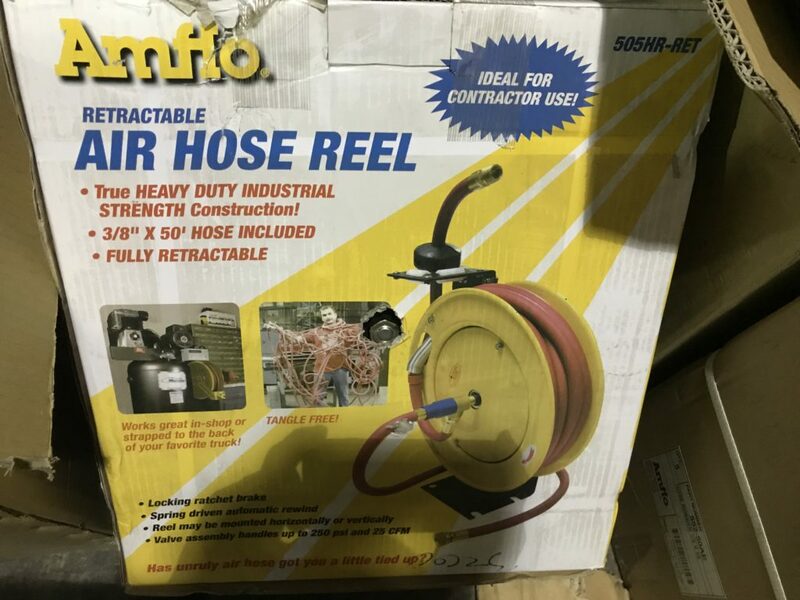 We have been offered 450 of these Amflo Retractable Air Hose Reels. These are heavy duty, industrial quality units. They come with a 3/8″ x 50 foot hose. Valve assembly handles up to 250PSI and 20CFM. Your cost (in pallet quantities) $78 ea.